Meg Sears has pursued interests in environmental health for decades, and as Chair of Prevent Cancer Now she works to ensure scientific rigour at every turn. Meg is currently working on the Canadian Environmental Health Information Infrastructure – a platform to facilitate research into environmental contributors to cancer and other conditions. The goal is ultimately to reduce disease, with scientific evidence for effective actions. 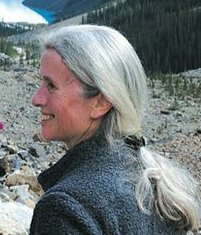 Meg was trained in Chemical Engineering and Applied Chemistry (University of Toronto), completed a doctorate in biochemical engineering (McGill University), and has diverse laboratory experience including in energy research. With skills in scientific analysis and writing, she gained associations with research institutes at the Children’s Hospital of Eastern Ontario, the Ottawa Hospital and others. Some highlights for Dr. Sears include: writing the Medical Perspective on Environmental Sensitivities for the Canadian Human Rights Commission, leading to a policy under the Canadian Human Rights Act; conducting a scoping review on toxic elements (arsenic, cadmium, lead and mercury) with Canadian Institutes for Health Research and Social Sciences and Humanities Research Council funding; and numerous collaborations with members of the Environmental Health Committee of the Ontario College of Family Physicians, and prominent Canadian environmental health and legal groups. When she is not working, you’ll probably find Meg roaming the outdoors, or “playing in the mud,” gardening. Formerly a Chartered Financial Analyst working as an oil and gas analyst in the investment industry, Robin moved to the non-profit sector. Over the years Robin has worked with a number of non-profit organizations including: the Canadian Cystic Fibrosis Foundation and Crazy Canuck Ken Read, organizing legendary fundraising ski races across Canada; Evergreen, transforming flat and boring school grounds into oases of native vegetation and innovative learning environments; Calgary River Valleys as a Communications and Outreach Coordinator; and the Nature Conservancy of Canada, engaging volunteers in conservation stewardship activities throughout Alberta. In her spare time Robin founded S2G, a non-profit society addressing the health of the Elbow River in Calgary, and co-founded and chairs the Coalition for a Healthy Calgary, an organization of scientists, professionals, health practitioners and citizens calling for the elimination of non-essential pesticide use in Calgary’s urban environments. Dorothy Goldin Rosenberg PhD, MES, holds a Masters in Environmental Studies (York University) and a PhD (University of Toronto). An education and film consultant, she researches, writes and speaks on environmental health, equality, social, economic and environmental justice, peace and energy issues. She has worked with the National Film Board, school boards, non-governmental organizations, health professional and policy groups on these issues. She was principle research consultant and associate producer of the documentary video, Exposure: Environmental Links to Breast Cancer  and researcher/writer of the accompanying guidebook Taking Action for a Healthy Future. She has led numerous training trainers workshops using these materials as educational tools. She recently researched and produced Toxic Trespass , a documentary on children’s health and the environment as a co production with the National Film Board of Canada.and has co-written the accompanying educational resource guide, Taking Action on Children’s Health and the Environment. She is also Volunteer Education Coordinator of the Women’s Healthy Environments Network  (WHEN) and teaches Environmental Health at the University of Toronto. As a grandmother, she stresses the importance of our work for future generations on a healthy peaceful planet. Dr. Richard van der Jagt (MD, FRCP Internal Medicine and Hematology) is a staff hematologist at the General Hospital in Ottawa. He achieved a BSc (Hon) majoring in pharmacology and physiology at the University of Toronto, and worked in neuroscience prior to medical school. At McMaster University, Dr. van der Jagt studied Medicine and Internal Medicine, as well as Clinical Epidemiology under David Sackett (a founder of clinical epidemiology in Canada, and a terrific role model). Dr. van der Jagt’s education was completed with a hematology fellowship at University of Toronto and a stem cell transplant fellowship in Seattle at the Fred Hutchinson Cancer Cancer. Dr. van der Jagt founded and chaired the Canadian Leukemia Studies Group, ultimately including 22 centers and 503 patients in a randomized CIHR funded study. Since 2002, his clinical practice and research efforts have focused largely on lymphoma and myeloma. All three diseases have been linked to environmental toxins. Ellen Sweeney is a health researcher and policy analyst who is interested in environmental health, women’s health, and primary prevention of disease. She completed a PhD in the Faculty of Environmental Studies at York University and an MA in Social Anthropology at Dalhousie University. Her doctoral research analyzed the laws, policies and practices that encompass Canada’s regulatory regime for toxic substances in order to determine if they are inherently precautionary, and if they enact a primary prevention approach. This research identified the gaps in law, policy and practice and in doing so, concludes that women’s health is not adequately protected from detrimental health outcomes, including breast cancer. Ellen currently works as a Research Scientist at the Atlantic Partnership for Tomorrow Project (Atlantic PATH) in Halifax, Nova Scotia. She has also worked with the National Network on Environments and Women’s Health, Canadian Women’s Health Network, Nova Scotia Health Research Foundation, Dalhousie University, and on CIHR team grants on environmental contaminants and reproductive health. Louise Schoenherr has been an active volunteer in the breast cancer community for twenty-two years. She is the co-founder of Breast Cancer Action Manitoba (BCAM), has served on the board since its incorporation in 1998, served as editor of the BCAM newsletter News and Views from 1999 to 2010, and she presently serves as the President. Louise was on the planning committee of three Together Conferences (organized by and for breast cancer survivors) held in Manitoba and for six years was on the planning committee of the World Conference on Breast Cancer (WCBC) for two international conferences held in Winnipeg in 2008 and in Hamilton in 2011. She was also on the planning committee of the Run For the Cure for several years. Louise feels that we owe our children, grandchildren and all future generations a concerted focus on primary prevention so that they will not have to cope with a devastating diagnosis of cancer in their future. The new vision of BCAM is A World without Cancer. She believes that for this to become a reality the focus must be on primary prevention – educating people about the lifestyle and environmental causes of cancer and about the individual choices they can make to reduce their risk of a recurrence or of developing cancer in their lifetime. Louise obtained a BA (U of Winnipeg) and a BEd (U of Manitoba), and was an educator for over 30 years. Besides volunteering she enjoys reading, gardening and travelling. Dr. Michelle Meyer ND has practiced naturopathic medicine in Ottawa since 2000, after graduating from the Canadian College of Naturopathic Medicine in 1996. Dr. Meyer’s practice embraces her belief in food as medicine and the vital importance of food quality including the need for organically grown crops free of glyphosate and other synthetic pesticides as essential to promoting optimal health, and reducing the likelihood of cancers and many other health disorders and illnesses. Dr. Meyer’s practice is distinct in its unique integration of naturopathic medical treatment with psychotherapy techniques to support patients with acute and chronic physical and/or mental health challenges. Dr. Meyer’s post-graduate training in counselling enables her work with patients challenged by stress associated health concerns including addiction challenges such as addiction to food or alcohol. She also supports patients with chronic fatigue, thyroid problems, anxiety and depression as well as those with neurologically based health challenges including Attention Deficit and Hyperactivity Disorder, Autism Spectrum Disorders and Multiple Sclerosis. Michelle Meyer is a well-established public speaker, writer and workshop facilitator. She created the radio program The Well Street Journal pioneering broader media coverage of natural and holistic health care approaches. Dr. Meyer is a long-time community activist, having worked with indigenous communities, community health, environment and co-operative organizations. She has been a Director on numerous community Boards. Her passions include canoe tripping, biking and hiking, storytelling and singing.